I’ve been (re-)reading Pedro Domingos’ paper, A Few Useful Things to Know About Machine Learning, and wanted to share some quotes that I like. (…) much of the “folk knowledge” that is needed to successfully develop machine learning applications is not readily available in [textbooks]. Most textbooks are organized by representation [rather than the type of evaluation or optimization] and it’s easy to overlook the fact that the other components are equally important. (…) if you hire someone to build a classifier, be sure to keep some of the data to yourself and test the classifier they give you on it. Farmers combine seeds with nutrients to grow crops. Learners combine knowledge with data to grow programs. (…) strong false assumptions can be better than weak true ones, because a learner with the latter needs more data to avoid overfitting. Even with a moderate dimension of 100 and a huge training set of a trillion examples, the latter cover only a fraction of about 10^-18 of the input space. This is what makes machine learning both necessary and hard. (…) the most useful learners are those that facilitate incorporating knowledge. Another interesting recent paper by Domingos is What’s Missing in AI: The Interface Layer. Previously, Domingos has done a lot of interesting work on, for instance, why Naïve Bayes often works well even though its assumptions are not fulfilled, and why bagging works well. Those are just the ones I remember, I’m sure there is a lot more. The chronic widespread misuse of statistics is usually inadvertent, not intentional. We find cautionary examples in a series of recent papers by Christakis and Fowler that advance statistical arguments for the transmission via social networks of various personal characteristics, including obesity, smoking cessation, happiness, and loneliness. Those papers also assert that such influence extends to three degrees of separation in social networks. We shall show that these conclusions do not follow from Christakis and Fowler’s statistical analyses. In fact, their studies even provide some evidence against the existence of such transmission. The errors that we expose arose, in part, because the assumptions behind the statistical procedures used were insufficiently examined, not only by the authors, but also by the reviewers. Our examples are instructive because the practitioners are highly reputed, their results have received enormous popular attention, and the journals that published their studies are among the most respected in the world. An educational bonus emerges from the difficulty we report in getting our critique published. 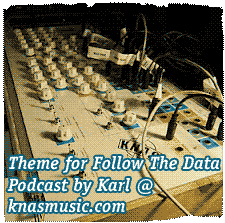 We discuss the relevance of this episode to understanding statistical literacy and the role of scientific review, as well as to reforming statistics education. Cosma Shalizi has co-authored another paper (available here) which makes a similar point in a much more, let’s say, polite way. My impression is that Shalizi is both sharp and trustworthy (I’ve learned a lot about statistics from his blog) so I’m inclined to think he is on to something. There is a new Science article which seems really cool, although I haven’t had time to get past the paywall yet. The title is “A Biological Solution to a Fundamental Distributed Computing Problem” and the gist of it is pretty simple: a research group has found that an important procedure in distributed computing, “maximal independent set selection”, has been solved in a simple and efficient way in a kind of fly’s nervous system development. An algorithm based on the process that occurs in the fly’s immature nervous system can be directly applied to a network of sensors, for example. In other news, Bradford Cross, who started the data-driven flight-delay prediction company FlightCaster, is starting a new company called Woven. It will be about discovering news you are interested in, and the platform will explicitly consider a conundrum that I’ve often been thinking about, which is the following (and possibly mentioned in some earlier blog post): Do you really want to read news that are always perfectly tailored to your interests? Wouldn’t this cause you to miss a lot of interesting information that you get from e.g. browsing the newspaper and “accidentally” reading about things you didn’t know about but which are actually kind of interesting? Bradford Cross mentions this in a recent interview and says that he started to “miss the serendipity that a newspaper provides”. So far so good, but how to actually implement this kind of quasi-random content exposure (I tend to think of it as a kind of beneficial noise) into a news discovery service? I guess we will soon see what Woven has in mind. Finally, the PayPal Developer Network (!) has a pretty nice tutorial about analyzing and visualizing the recently released World Bank data using tools like Java servlets, Google Charts and MySQL. The World Bank data would easily deserve a verbose blog post of its own (and I was planning one several months ago) but that will have to wait until I’ve taken a proper look at it. This New York Times article is more than a month old, but it ties in quite nicely with the “Culturomics” I mentioned in the previous post. Foldit players interact with protein structures using direct manipulation tools and user-friendly versions of algorithms from the Rosetta structure prediction methodology, while they compete and collaborate to optimize the computed energy. We show that top-ranked Foldit players excel at solving challenging structure refinement problems in which substantial backbone rearrangements are necessary to achieve the burial of hydrophobic residues. Players working collaboratively develop a rich assortment of new strategies and algorithms; unlike computational approaches, they explore not only the conformational space but also the space of possible search strategies. The integration of human visual problem-solving and strategy development capabilities with traditional computational algorithms through interactive multiplayer games is a powerful new approach to solving computationally-limited scientific problems. Anyway … the newest Kaggle contest is very interesting for me as a chess enthusiast. It is an attempt to improve on the age-old (well … I think it was introduced in the late 1960s) Elo rating formula, which is still used in official chess ranking lists. This system was invented by a statistician, Arpad Elo, based mostly on theoretical considerations, but it has done its job OK. The Elo ratings should ideally be able to predict results of games with a reasonable accuracy (as an aside, people have also often tried to use it to compare players from different epochs to each other, which is a futile exercise, but that’s a topic for another post), but where it really does that has not been very thoroughly analyzed. The Elo system also has some less well understood properties like an apparent “rating inflation” (which may or may not be an actual inflation). Some years ago, a statistician named Jeff Sonas started to develop his own system that he claimed was able to predict results of future games more accurately. Now, Sonas (with Kaggle) has taken the next step, which is to arrange a competition to see if this will yield an even better system. The competitors get results of 65,000 recent games by top players and attempt to predict the outcome of a further 7,809 games. At the time of writing, there are already two rating systems that are doing better than Elo (see the leaderboard). Two good articles from the mainstream press. Sergey Brin’s Search for a Parkinson’s Cure deals with the Google co-founders quest to minimize his high hereditary risk of getting Parkinson’s disease (which he found out through a test from 23andme, the company his wife founded) while simultaneously paving the way for a more rapid way to do science. Brin is proposing to bypass centuries of scientific epistemology in favor of a more Googley kind of science. He wants to collect data first, then hypothesize, and then find the patterns that lead to answers. And he has the money and the algorithms to do it. This idea about a less hypothesis-driven kind of science, based more on observing correlations and patterns, surfaces once in a while. A couple of years ago, Chris Anderson received a lot of criticism for describing what is more or less the same idea in The End of Theory. You can’t escape the need for some sort of theory or hypothesis, and when it comes to something like Parkinson we just don’t know enough about its physiology and biology yet. However, I think Brin is right in emphasizing the need to get data and knowledge about diseases to circulate more quickly and to try to milk the existing data sets for what they are worth. If nothing else, his frontal attack on Parkinson’s may lead to improved techniques for dealing with über-sized data sets. Smarter Than You Think is about IBM’s new question-answering system Watson, which is apparently now good enough to be put in an actual Jeopardy competition on US national TV (scheduled to happen this fall). It’s a bit hard to believe, but I guess time will tell. Most question-answering systems rely on a handful of algorithms, but Ferrucci decided this was why those systems do not work very well: no single algorithm can simulate the human ability to parse language and facts. Instead, Watson uses more than a hundred algorithms at the same time to analyze a question in different ways, generating hundreds of possible solutions. Another set of algorithms ranks these answers according to plausibility; for example, if dozens of algorithms working in different directions all arrive at the same answer, it’s more likely to be the right one. IBM plans to sell Watson-like systems top corporate customers for sifting through huge document collections. The paper is interesting throughout. Edit 2/6 2010: I found another paper by Roberts, a 61-page whopper called “Self-experimentation as a source of new ideas: Ten examples about sleep, mood, health and weight“, where he goes into a lot more detail (complete with pretty graphs plotted in R) about his various experiments. Definitely worth a look too. Here are some interesting articles on self-tracking published during the spring. With my spreadsheet, I inadvertently transformed myself into the mean-spirited, small-minded boss I imagined I was escaping through self-employment. I think it would be more accurate to say that the age of the illusion of privacy is over. Your activities have long been transparent to credit card, mobile phone operators and others… now we have been given the tools to reveal this information socially (intentionally or unintentionally). The irony of getting attached to a practice that teaches detachment got me to take a look at Poincare plots of different styles of Yoga. Why I stopped tracking by Alexandra Carmichael is a powerful reminder of the potential drawbacks of self-tracking. OK, so I was a bit slow to discover this, but The Economist has a special report on big data which is freely available online. That is, the individual articles are free, and a PDF compiling them is supposed to cost 3 GBP, but I was able to download it for free here without doing anything special. A fun fact that I learned from this report is that the total amount of information in the world this year is projected to reach 1.2 zb (zettabyte) – which is 1.2×10^21 byte. How on earth did they come up with that figure…? Anyway, this report is worth a read, as it touches on things like business analytics, web mining, open government data and augmented cognition, while also giving some well deserved love to R and open source software.